Finnish giant sets rate for its essential 5G patents. Nokia says it expects to make €3 in royalties for every 5G smartphone sold. The Finnish telecommunications equipment manufacturer has made many contributions to the standardisation of 5G and says its fees reflect the value of its technology to handsets. Holders of Standard Essential Patents (SEPs) are required to make their innovations available on fair, reasonable and non-discriminatory (FRAND) terms. There are numerous instances in recent history of disputes between companies disputing FRAND royalties. By capping its licence income at €3, Nokia will hope to avoid such arguments and instead benefit from the rollout of 5G. By the time standards are finalised later in the year, Nokia anticipates it will have a “significant position” in SEPs, meaning it stands to make significant gains. "Nokia innovation combined with our commitment to open standardization has helped build the networks of today and lay the foundations for 5G/NR," said Ilkka Rahnasto, head of patent business at Nokia. "This announcement is an important step in helping companies plan for the introduction of 5G/NR capable mobile phones, with the first commercial launches expected in 2019." The capped rates only apply to mobile phones, however. 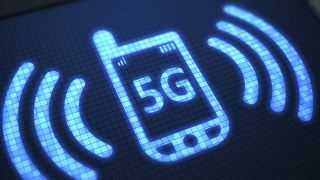 5G networks are expected to connect all manner of devices, such as PCs, routers and industrial equipment, and Nokia will determine licensing rates for each of these separately. The first commercial 5G services will go live in the US later this year offering Fixed Wireless Access (FWA) broadband. The first 5G smartphones will go on sale in 2019 with the first UK 5G networks launching by 2020.